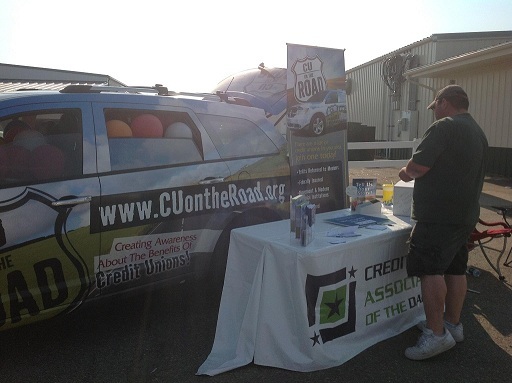 The Credit Union Association of the Dakotas participates in Red River Valley Fair in its CU on the Road awareness campaign. The CUAD car and booth at the Red River Valley Fair in Fargo, N.D. In an effort to raise awareness about credit unions, the Credit Union Association of the Dakotas participated in the Red River Valley Fair in Fargo, N.D, from July 13-15.